African Penguins (Spheniseus demersus) Equinox and Flash are flying home to Port Elizabeth courtesy of the Bateleurs . 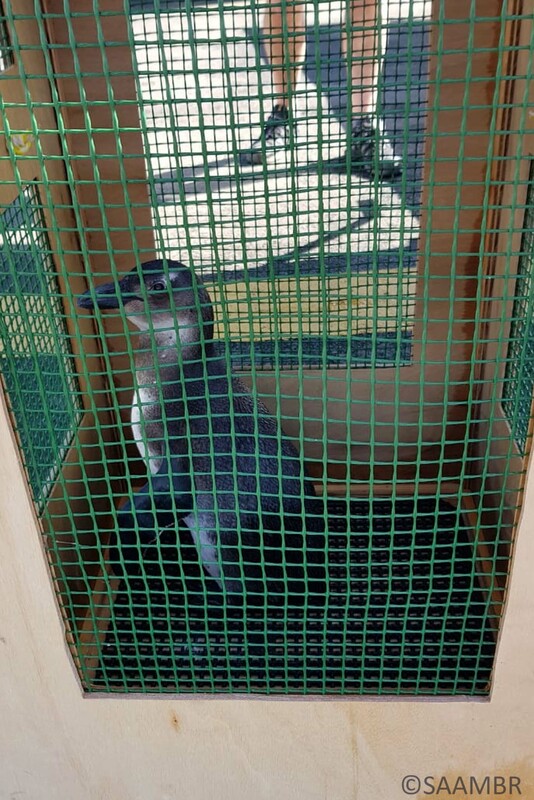 They will spend some time at SANCCOB (SA Foundation for the Conservation of Coastal Birds) before being released into the ocean. At SANCCOB they will spend time forming very important social bonds with the next group of African Penguins ready for release. Both Equinox and Flash were admitted to the uShaka Sea World Penguin Rehabilitation programme within a week of each other. Equinox came in on the 12th September 2018 after stranding on Mtunzini’s main beach whilst Flash was brought in on the 21st September after stranding at Zinkwazi. Equinox took 6 days before she managed to stand up straight and eat on her own. “She was so weak and frail during her first week in hospital we were very guarded as to her chances of survival. Not only was she starving and dehydrated but was further compromised by a stomach infection. She was treated with rehydration fluids and given antibiotics which we administered in a specially prepared gruel. Once she was feeling better she regained her strength quickly, started eating on her own picked up weight” said uShaka Sea World’s Kelly de Klerk. Flash too was dehydrated and undernourished when he arrived. His little flippers were covered with barnacles which indicated he had spent an extended period floating at sea. Flash is the more relaxed of the duo and took his time slowly and steadily growing stronger. He now weighs in at 3 kgs is heavier than Equinox who weighs slightly less at 2.78 kgs. 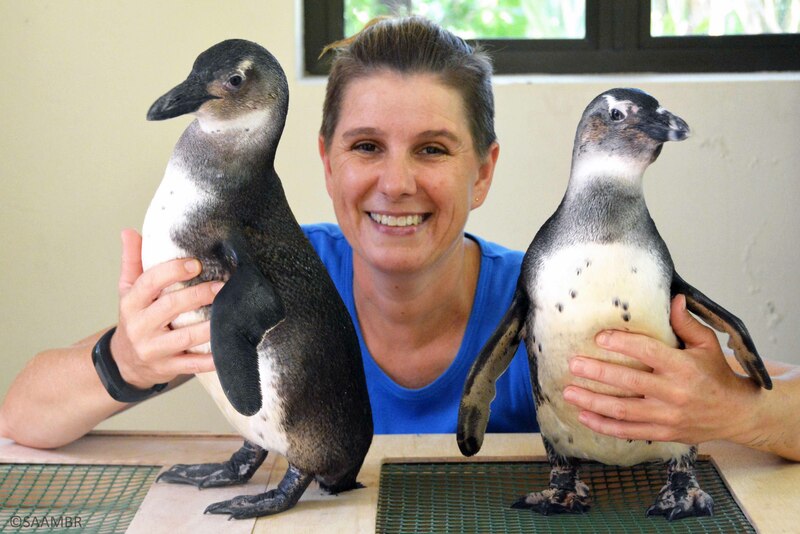 As soon as uShaka Sea World veterinarian Dr Francois Lampen gave both these adventurous penguins their final health clearance Kelly started preparing them for release. 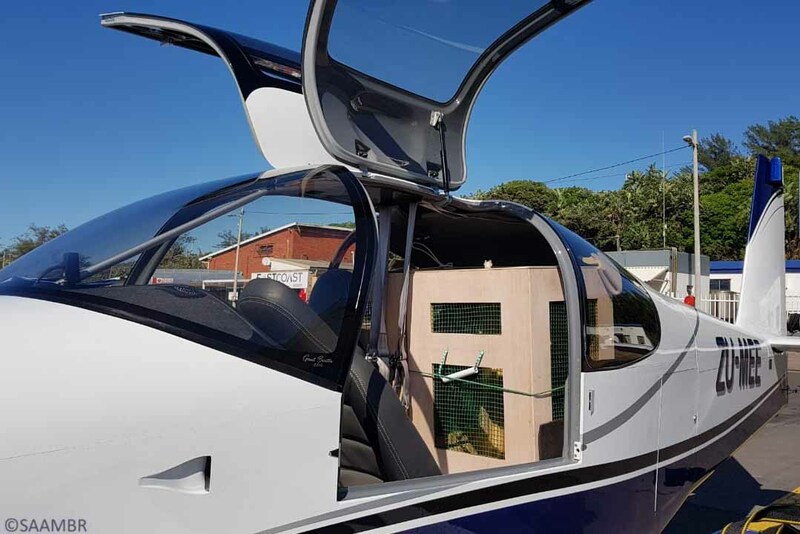 They will be “flown” in separate specially designed transport boxes which they have been acclimatising to. 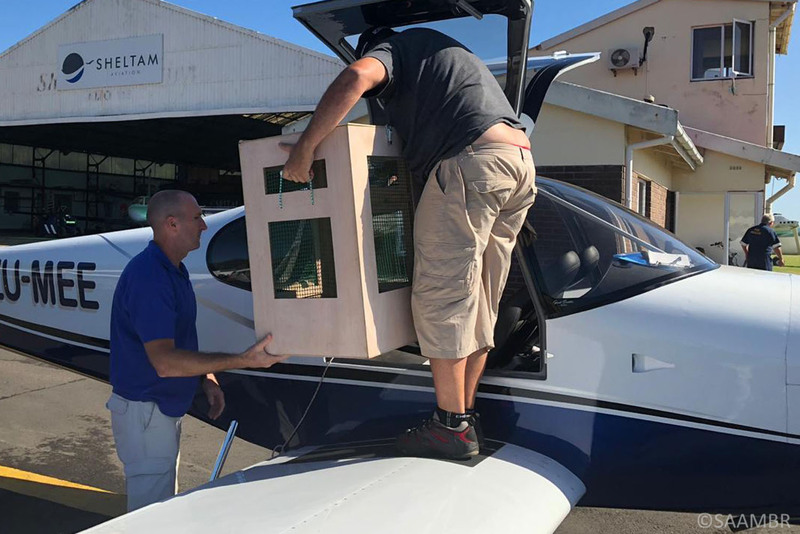 “We are very grateful to the Bateleurs for coming forward and offering to transport the penguins to Port Elizabeth” said uShaka Sea World Director, Tony Mc Ewan. The Bateleurs are an environmental NGO manned by volunteers who fly for the environment.